Unique baby gift shopping made easy! 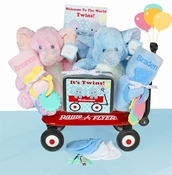 Our site offers a generous selection of adorable baby gifts with an emphasis on memorable and unique options. 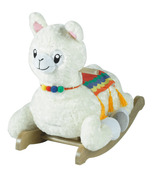 We offer exclusive basket creations, personalized blankets, wagon gifts, rockers, and so much more - a varied selection with fun themes for girls, boys, and gender-neutral motifs. 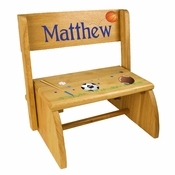 You�ll find hundreds of Personalized Baby Gifts that instantly elevate your gift from thoughtful to keepsake. 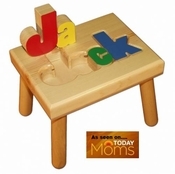 We have sent our gifts to babies of celebrities and some have even been featured on The Today Show on NBC! As an added plus, Free Shipping is always included within the Continental U.S. Since we started in 2008, our mission has always been to treat every customer as we would expect to be treated ourselves. It is our hope that you will enjoy your experience enough to share it with friends and recommend us to others. 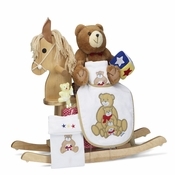 We strive to make baby gift shopping easy. If you have any questions, call toll free 866-476-0213 or email us using our Contact Form. Thank you so much for doing this for me!!!! I really appreciate that. You have a great website and I would definitely recommend it to all my friends. Have a great weekend! Amy, Thank you again for the NY MLB training starter set. My husband (John) and son (Jonathan) are diehard Yankee fans and our grandson is close behind. Hope to do business with you again in the future. This is absolutely great - thank you so much for your attention to and support of my order. I really can't thank you enough - you've blown me away with your professionalism and service.